Medieval history has countless examples of conflict and war. For this reason, combat has always been part of the plan for Medieval Engineers. 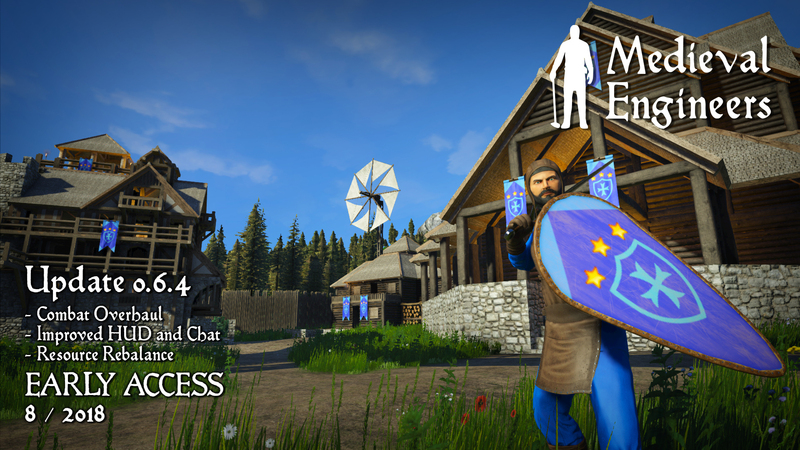 So for 0.6.4 we have overhauled the combat mechanics entirely to make the combat feel more alive and exciting, and to provide more interesting fights. Additionally, we have overhauled the resource balance, updated the HUD for readability, implemented a new chat system, and many quality of life improvements. There's bound to be something for everyone in this patch!